45. DARIA KULESH at the LOST HORIZONS FOLK AND ACOUSTIC CLUB, at the BIRKBECK TAVERN, East London. Friday, 17th April, 2015. My readers must please excuse me for being totally ignorant of the fact that there is a thriving folk club in Leyton, East London. It was only when my friend Daria Kulesh invited me along to her gig at this venue that I became aware of it all. (My review of Daria’s excellent album Eternal Child is on this blog #35). I had to rearrange a few things to get to the gig; but I particularly wanted to see her set; and to find out all about the club too. We arrived early enough for a nice chat with Daria and her husband. She told us that she planned to perform some new material that she has been writing for her next solo album – that is certainly something to look forward to. She is also, of course, a member of the Folk group Kara, whose album Waters So Deep I can also highly recommend. 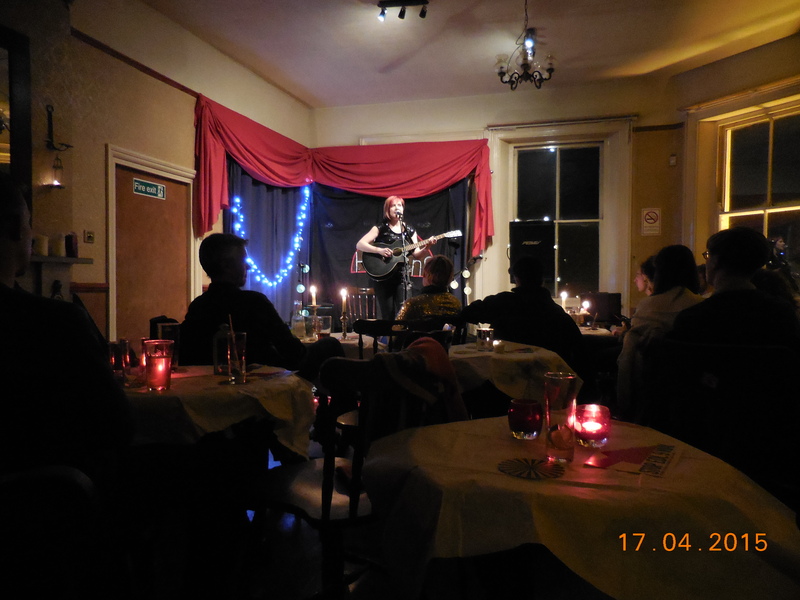 The Lost Horizons Folk And Acoustic Club is an attractive looking venue, held on the third Friday of every month upstairs at the Birkbeck Tavern in Langthorne Road, Leyton. It has been run by partners Paul Knight and Trish O’Hara since December 2010. The club apparently developed from camp-fire singing, and putting the World to rights at festivals; and I must say it does have that political vibe about it. 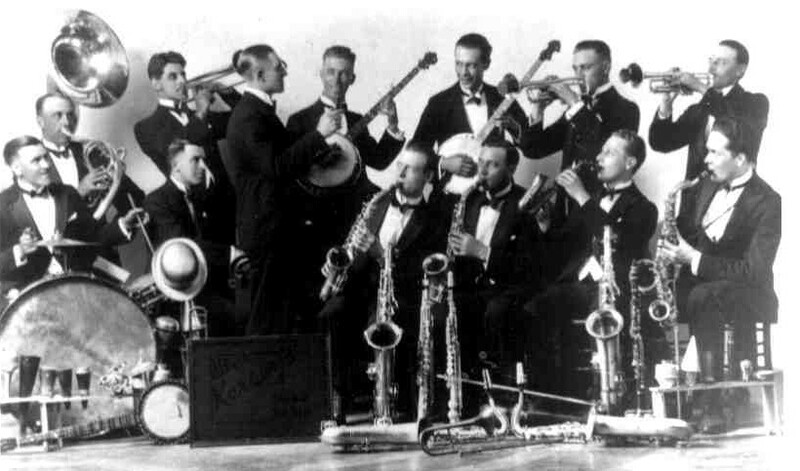 Of course, English, Irish and American Folk music have for centuries, often had a strong vein of political inspiration at their core; and I must say, this tradition is alive and well at Lost Horizons. Paul and Trish made us very welcome, and filled us in on what they are trying to achieve at the club. The format of their evenings at the venue, is to show-case two special guests; along with two of their regular singer-songwriter house artists; followed by an Open Mic session. They apparently have around half a dozen of these young regulars who take it in turns to perform. A promising selection of artists is therefore likely at every meeting. Soon it was time for the show to begin. First up was a young singer-songwriter called Bob Munton. Playing a ukulele, he began with a Dylan cover: ‘Don’t Think Twice’. He then played some of his own work, based on his World observations. ‘Address Unknown’ (Palestinian themes); ‘Waterhole’ (a song full of ‘metaphors and clichés’); ‘Epiphany’ (about housing issues); and ‘Apathy’ (on political nonchalance). Bob gave a good explanatory preamble to each song; and I thought they were lyrically strong and interesting. Next on the bill was another regular at the club: Will O’Donaghue. His songs seemed to be inspired by personal experiences and observations: ‘Chalice’; ‘Cold Wind In Your Hair’; ‘Broken Glass’ (a love song); ‘Goodbye’s The Only Thing To Say’; ‘Little Boxes’ (about his late mother); and ‘Heart Goes Black’. (Apologies to Will if I’ve got any of these titles wrong!) Will’s songs are simple but effective in construction, and confidently played. Again, lyrically strong and very personal. Also he has a good rapport with the audience to whom he was clearly well known. After a ten minute break, Daria was on. She began by confidently singing the traditional Celtic song ‘She Moved Through The Fair’, unaccompanied. Right from the start, her beautiful voice and faultless rendition of the old folksong had everyone spell-bound. She continued with a song from her album Eternal Child, ‘Fake Wonderland’. Its a song about how ‘…money doesn’t buy happiness’. I know Daria wasn’t too happy about her performance of this song, but she needn’t have worried; I thought it was fine. Again from Eternal Child, she gave us her ‘Butterflies’, which she wrote as a charity song. Then, exchanging her guitar for a bodhrán, she did ‘Begone!’ – a true story about a witch trial, written from the point of view of the bigoted mob. Next was a fine cover of ‘The Hanging Tree’ from the film Hunger Games which she sang accompanying herself with a Shruti Box. Back with a guitar, she then played the gentle ‘Right Here’ from Eternal Child. This is a lovely song – one of two derived from an earlier work that she said ‘is too personal’ to perform in its original state. It has simple chords but is beautifully arpeggiated and was beautifully sung. A new one entitled ‘Bide, Lady, Bide’ which is influenced by the Dostoevski novel The Idiot was next. We were told that this may be the only time that we’d hear it in its ‘raw state’, as it should be performed by her band Kara. Her final song was ‘The Moon And The Pilot’. This is a very personal song influenced by the plight of her Caucasian ancestors at the hands of Soviet dictator Joseph Stalin. Throughout her set, Daria gave illuminating preambles to every song. I am always in favour of this as it adds to the listening experience. At all times both her spoken and singing voice was clear and satisfying. In fact every aspect of the whole set was very enjoyable, and I’m glad I was able to get to the gig. I’d recommend seeing Daria if you get a chance; and I’m looking forward to seeing her with Kara later this year at Haverfolk in Essex. Due to having a lot on our plates the next day, we were unfortunately unable to stay for the final guest act of the night: folk group Apple Of My Eye (a shame, because I’d have liked to have seen them too); nor for the Open Mic session afterwards, of course; and unfortunately had to leave soon after Daria’s set ended. But I know about the club now, and I know when its on; so I’m sure we’ll be warmly welcomed back next time. 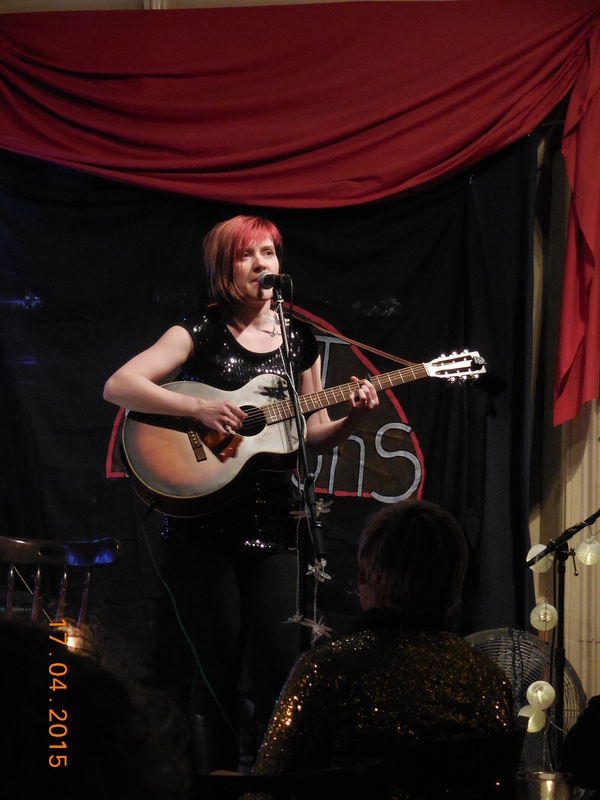 My thanks to Paul and Trish and everyone at Lost Horizons; and to Daria, of course, for her wonderful set. PTMQ. This entry was posted in Gig review, music blah blah and tagged apple of my eye, birckbeck tavern, birkbeck tavern, bob munton, daria kulesh, eternal child, haverfolk, kara, lost horizons, phil the music quill, waters so deep, will o'donaghue on April 27, 2015 by PTMQ.